After more than 17 years of fighting, U.S. diplomats have been working with Taliban representatives at a breakneck pace to negotiate an end to the war in Afghanistan. The talks appear to be driven by President Donald Trump, who is eager to close out America’s costly foreign wars. Earlier this week, U.S. diplomats brought news that the Taliban had agreed to a draft peace proposal. 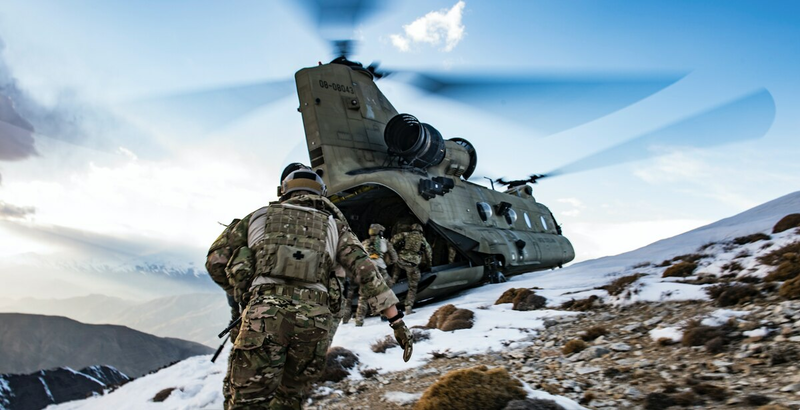 The details are still unclear, but it could involve a U.S. troop withdrawal in exchange for the Taliban’s commitment to never again allow Afghanistan to be used as a safe haven for international terror groups like al-Qaida. The peace negotiations come at a time when the Trump administration is planning for the withdrawal of about 7,000 of the roughly 14,000 U.S. forces that are currently in Afghanistan. But would Taliban uphold their end of the deal? “People who oppose peace negotiations always argue the other side can’t be trusted,” Barnett Rubin, a former senior State Department official and Afghanistan scholar, told Military Times. “By the way, there are people who for some reason think that the U.S. can’t be trusted." One concern with the draft deal is that the diplomatic team has yet to announce enforcement provisions, but the negotiations are not over, Rubin said, and that appears to be the team’s stance as well. Although the final draft has yet to be inked, pundits and politicians have already weighed in. In a bipartisan vote, the Senate advanced an amendment Thursday that would oppose withdrawing troops from Afghanistan. Some senators opposed the amendment. “It is ludicrous to call withdrawal after 17 years ‘precipitous,'" Kentucky Sen. Rand Paul, a longtime critic of America’s foreign wars, said after the measure was advanced for a final vote as soon as next week. The eagerness of officials like Trump and Paul means the U.S. is negotiating from a position of weakness, according to Thomas Joscelyn, a prominent al-Qaida and Taliban watcher and senior fellow at the Foundation for the Defense of Democracies. For Joscelyn, that legitimizes the Taliban’s political clout. Their military prowess, compared to Afghan government forces, is largely without question. Joscelyn, like many others criticizing the negotiations, does not trust the Taliban’s promise to ban al-Qaida. He pointed to the group’s own statement after the meeting in Qatar, which did not include written promises to prevent international terror groups from working in Afghanistan. “If they were going to renounce al-Qaida in writing, that would be meaningful because it’s something they’ve refused to do for 20 years,” Joscelyn said. The international community has tried to coerce the Taliban to stop offering refuge to Osama Bin Laden’s al-Qaida militants as far back as 1998. “The idea that they’re going to do it now seems laughable,” he said. But the negotiations are still underway. After all, diplomacy takes time. Officials on both sides must usher notes and drafts back and forth between their leaders at home and those with whom they are mediating. The process in Qatar could take many, many rounds of arbitration. All the while, the battles on the ground in Afghanistan march on. Two Americans, an Army Ranger and an Army Green Beret, were killed in combat this month. In November, four troops — two Green Berets, an Air Force Special Tactics airman, and an Army infantryman — were killed by a single roadside bomb in Ghazni province, eastern Afghanistan. Many of the U.S. troops killed in Afghanistan are special operators, trained for years to be repeatedly deployed in and out of conflict zones. During counter-insurgency operations, their lives can be ended instantly by improvised explosive devices. But for every American killed, the Taliban surely suffer worse. U.S. airstrikes in Afghanistan have been at record highs, paired with fine-tuned Afghan commandos and American advisers hitting Taliban strongholds and drug labs across the wayward country. Still, that isn’t new. The U.S. military has been fighting at a high tempo for years, regardless of troop levels, which have often fluctuated based on domestic politics. Do the Taliban want a seat at the table, or the whole meal? The U.S.-aligned Kabul government, which has not been officially present at the negotiations, remains uneasy with the whole situation. Afghan President Ashraf Ghani called on the Taliban to “accept Afghan demands for peace, and enter serious talks” with his administration during a nationally televised address this week. Many wonder whether the Taliban will negotiate at all with Ghani’s government, which the militant group has long derided as “Western puppets” in their propaganda statements. But Rubin disagrees. Taliban ideology, he said, has the potential for flexibility. And in the past, the Pakistani Deobandis have entered into coalition governments with center-right conservative and left-wing socialist political parties in Pakistan’s parliament. “The Taliban have never had the opportunity to participate in parliamentary politics,” Rubin said, adding that its introduction to Afghanistan only came after the U.S. invasion. Some Americans have already made up their minds. The negotiations may fail or succeed based solely on political brinkmanship within Washington. Given the Senate’s rare bipartisan showing to slow Trump’s withdrawal, it isn’t unrealistic to think U.S. policymakers may have grown too accustomed to foreign wars, far from American shores. Yet others still believe the U.S. mission in Afghanistan has staved off terrorists like those who struck on Sept. 11, 2001. As for the Taliban, an old adage reportedly told to the U.S. envoy who currently helms the negotiations with the militants may illuminate their position. As the U.S. ambassador to Afghanistan during the early days of the war, Zalmay Khalilzad was once sent a direct message from the Taliban. “You have all the watches, but we have all the time," it read.